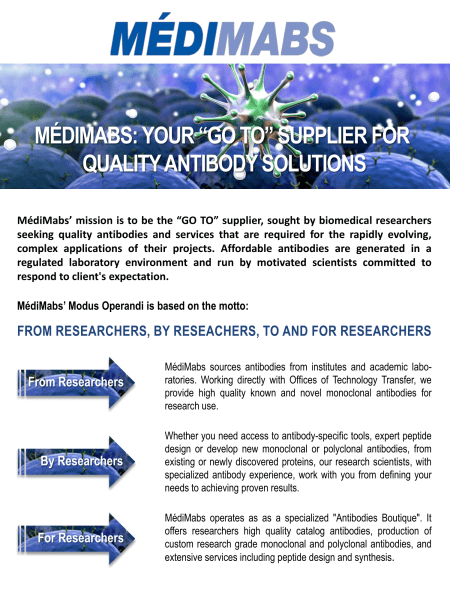 MédiMabs’ mission is to be the “GO TO” supplier, sought by biomedical researchers seeking quality antibodies and services that are required for the rapidly evolving, complex applications of their projects. Affordable antibodies are generated in a regulated laboratory environment and run by motivated scientists committed to respond to client's expectation. Released June 2016.